General Motors is looking into purchasing a 51% stake in Hicomobil, a unit of local conglomerate DRB-HICOM which distributes CBU Chevrolet cars in Malaysia. GM is relooking at Malaysia as it is closing it’s office in Singapore. It’s expected that GM wants to take control of the firm by October 2006, but the deal depends on whether GM agrees to assemble Chevrolet cars at DRB-HICOM’s plant in Pekan, Pahang. Ultimately this will give us cheaper Chevrolet cars, as current models are fully imported. Locally assembled CKD cars have lower tax as compared to fully imported CBU vehicles. There are plans for a notchback Chevrolet Aveo Sedan in September 2006 to be priced above RM80,000, putting it into competition with other sedans based on hatches like the Honda City. I’m expecting it to be in the lower RM80,000 to RM90,000 range as the Chevrolet Optra 1.6 sedan already occupies the upper half of that price bracket at RM88,888. 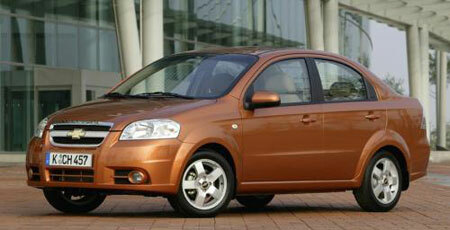 Two new models are also in the pipeline, due end of 2006 or early 2007.